Mix flours, sugar, pumpkin pie spice, salt, baking powder in a bowl. Set aside. Whisk together vinegar and milk. Let sit for 5 minutes. Whisk in egg and vanilla, maple syrup, then melted (and cooled) butter. Grease a 6 count donut pan, then spoon or pipe in batter. It will be thicker than normal batter. Smooth tops with back of a spoon. Mix sugar and cinnamon for coating together. 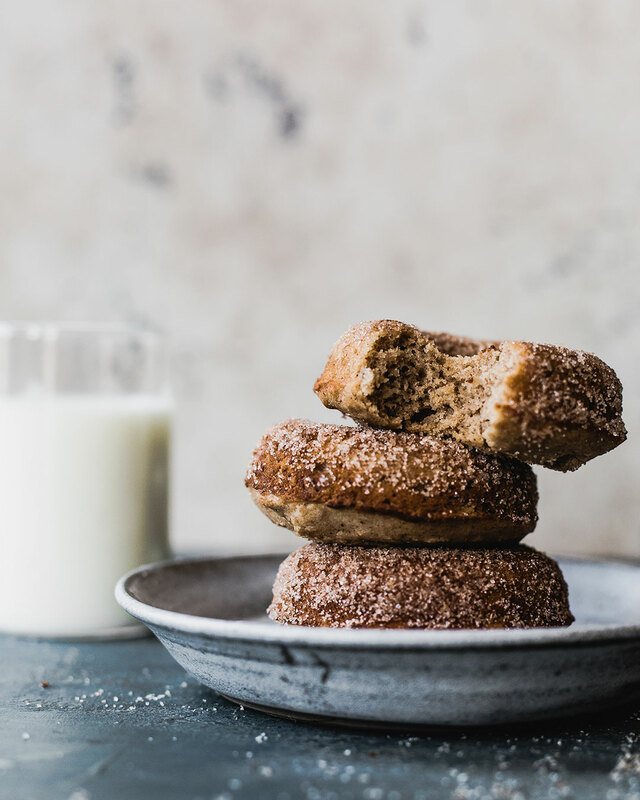 Brush donuts with butter, and dip in cinnamon sugar.